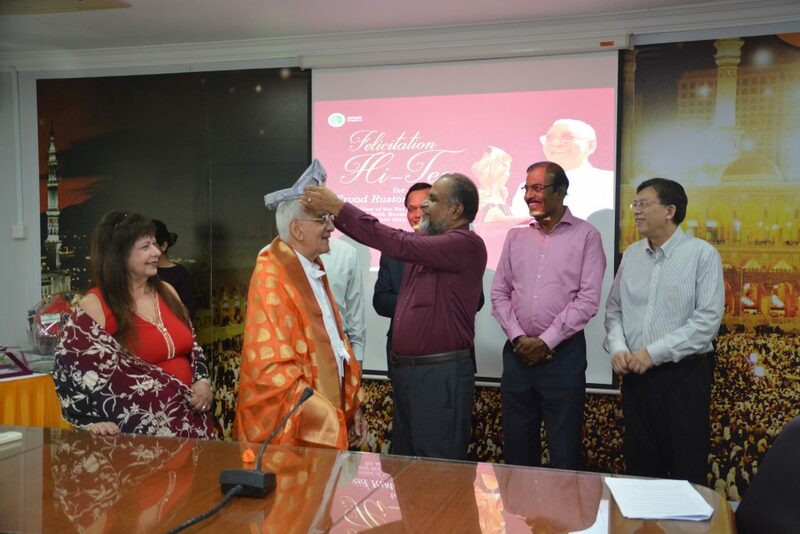 “Everyone can be an IRO ambassador” said Ervad Rustom Ghadiali at the Felicitation Hi-Tea organised by Jamiyah Singapore on Friday, 23 November 2018. Mr Rustom served the Inter-Religious Organization (IRO) for more than 30 years and was also the President of IRO for 3 terms (2000,2009 and 2017). He says, “I hope the youth can maintain the inter-faith harmony in future in Singapore”. Acting High Commissioner of Sri Lanka in Singapore, Mr O.L Ameeraajwad, Mr Dhinakaran, former NMP and Vice Chairman of Hindu Endowment Board, Mr S Devenddran, CEO of Sree Narayana Mission Nursing Home, Mr Shaik Hussain Shaik Yacob, President of Muhammadiyah Association, Mr Norman Chia, Council Member of The Church of Jesus Christ of Latter-Day Saints and many other religion leaders were present at the Hi-Tea ceremony.